Impact Wrestling was back at the Melrose Ballroom in Queens, New York on Monday for their first night of post-Bound for Glory television tapings. Impact will also tape TV at the venue tonight. Sami Callihan came out after the match, faced off with Cage, and showed video of him pinning Cage at Bound for Glory. Callihan attacked Cage, which led to oVe trying to make the save and pulling Callihan to the back. 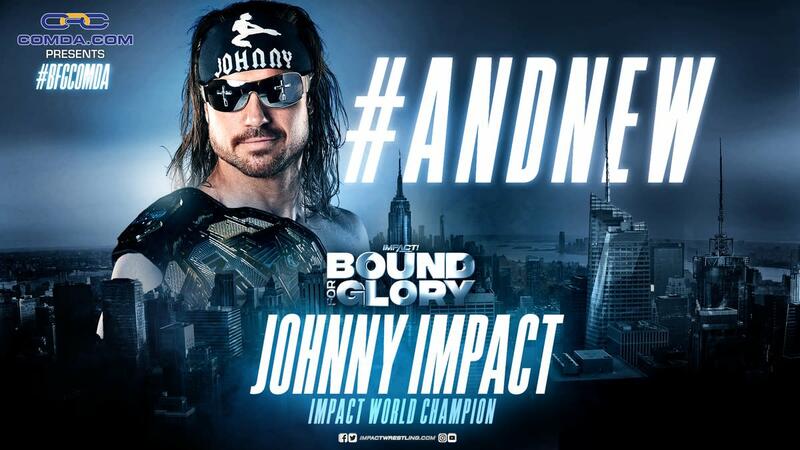 - Johnny Impact cut a promo about winning the Impact World Championship from Austin Aries at Bound for Glory and referenced Aries' actions from after the match. Impact said it's a crazy business. Impact noted that he's going to give people title shots if he thinks they deserve it. Fenix entered and asked for a title match. Impact accepted and said he'll shake Fenix's hand and raise it if Fenix wins -- because they're professionals and he's not going to run home and throw a tantrum. Impact and Fenix shook hands. Kross and Moose laid out Dreamer following the match. Valkyrie was interviewed and said she no longer respects Tessa Blanchard due to Blanchard cheating at Bound for Glory. The storyline for this was that Allie's demeanor has changed after the Undead Realm segment at Bound for Glory. After getting the win, she continued to beat down Edwards until Kiera Hogan stopped her and Allie snapped out of it. Allie tried to check on Alisha. The OGz attacked Pentagon following the match. Fenix tried to make the save, but The Lucha Bros were beaten down. Singh did a pre-match promo hyping a wrestler up -- only to reveal that it was himself. He covered Raju after Raju was attacked. Allie tried to get involved and help Hogan, but Yung was able to control her after Sunday's Undead Realm segment. Eddie Edwards attacked Moose while the match was going on. Impact retained with Starship Pain. The OGz then attacked Fenix, but Pentagon came out with a steel chair to make the save. Impact TV taping spoilers: Two title matches, Callihan vs. Pentagon Jr.